Warthog has a number of species such as Southern warthog, Central African warthog, Eritrean warthog and Nolan warthog. 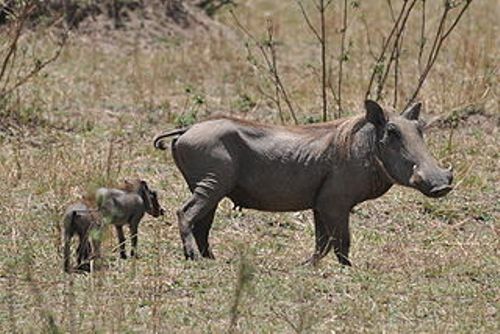 Central African warthog can be found in Kenya and Tanzania. It has the biological name of P. a. Massaicus. 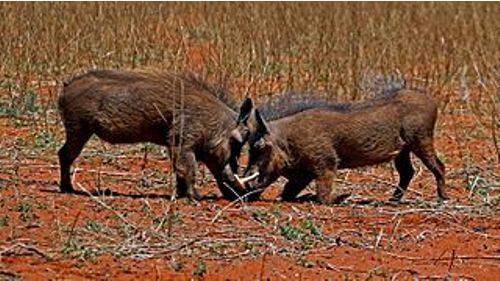 Nolan warthog spreads in Nigeria, Ghana, Ivory Coast, Burkina Faso, Sudan, Senegal, and Chad. Southern warthog is distributed in South Africa, Zimbabwe, Namibia, and Botswana. It has the scientific name of P. a. Sundevallii. 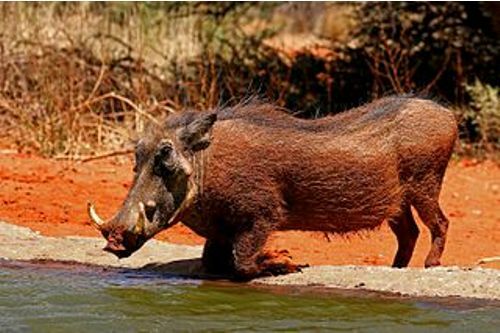 Eritrean warthog or P. a. Aeliani is discovered in Somalia, Djibouti, Ethiopia and Eritrea. The length of head to body of a warthog is measured at 0.9 to 1.5 metres or 3 to 4.9 feet. The shoulder height is measured at 25 to 33.5 inches or 63.5 to 85 cm. The body size is medium. Get facts about tadpole here. The male is bigger than the female warthog. The former one has the weight of 130 to 330 lb or 60 to 150 kilogram. The female has the weight of 99 to 165 lb or 45 to 75 kilogram. It is easy to identify warthog due to the presence of two pairs of tusks. The shorter one is found at the lower pair of tusks. The length of upper canine teeth of warthog is measured at 10 inches or 25.5 cm. They have the width of 0.98 inch and depth of 1.8 inches. Look at facts about Vertebrate here. The tusks have several functions such as for fighting with the hogs, digging and combating the predators. 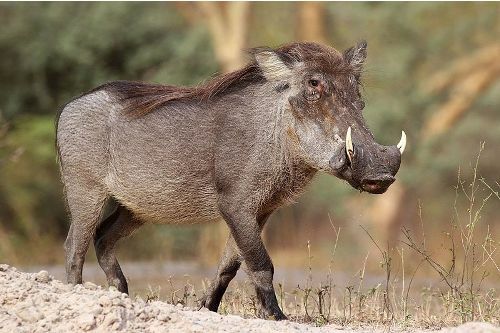 The common warthog has the large head. The spine to the middle back features a mane. The body is sparsely decorated with hair. 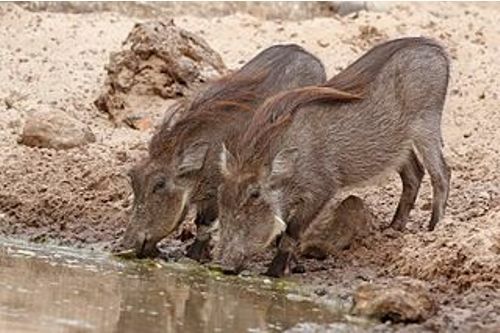 The body color of the common warthog is brown or black. Do you like reading facts about the common warthog?